Home » Blog » Public Liability Insurance For Electrical Contractors – Why You Need To Be Covered! Public Liability Insurance For Electrical Contractors – Why You Need To Be Covered! As an electrical contractor, it’s important that you have the right insurance package in place so you’re protected when things go wrong. One of the most important (well, probably THE most important) form of cover that you need have is public liability insurance. Let’s take a closer look at why liability insurance is so essential! Public liability insurance is designed to protect you financially if you’re found liable for damage to property or injury to a person following a claim by a third party. It also covers legal bills if you need to hire a lawyer during the claims process. If a liability claim is successful, you could find yourself responsible for costs such as repairs, replacements, medical bills and rehabilitation – all of which can add up very quickly! Why is liability insurance important for electrical contractors? Due the hands-on nature of your job, the truth is that in your work as an electrical contractor means you run a higher risk of something going wrong. Even if you’re very careful, accidents can happen from you inadvertently damaging client property while installing lighting to someone tripping over your tools at a work site. Don’t take the risk of leaving yourself unprotected! 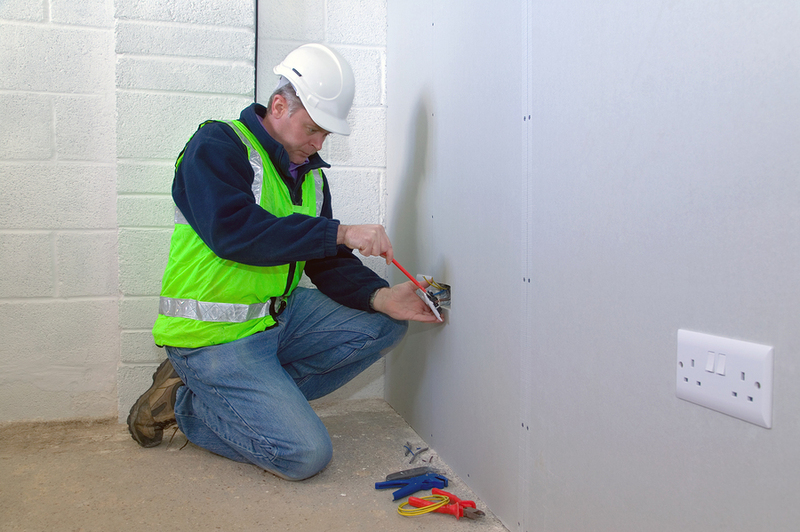 Is public liability insurance compulsory for electrical contractors? In some states in Australia, you won’t be able to get your electrical licence without proof of public liability insurance in place. In the other states, it might not be compulsory but it’s just plain common sense to have this cover. Even if liability insurance isn’t compulsory in your state, many employers won’t take you on without proof of public liability insurance and you won’t be able to enter some work sites without it. How much will my liability insurance cost? It depends. When you’re getting quotes for public liability cost, the insurer takes into account a number of factors including the type of electrical contracting work you do, the location of your work and your number of employees. The riskier your work, the higher your premiums as there is more of a chance of something going wrong. Remember that the purpose of liability insurance is to protect you financially so don’t make a decision on cost alone – you also need to be confident that you’re getting a quality policy. For electrical contractor’s insurance Perth, GSK Insurance Brokers can help. With decades of combined experience and a relationship with trusted insurance providers, our team can help you get the best insurance package at a competitive price. We understand the complex world of the electrical trade and will make sure your areas of risk are covered. If you’re looking for an electrical contractor’s insurance quote or just want to ask a few more questions, contact the team at GSK Insurance Brokers today on 1300 687 962. For electrical contractor’s insurance online, fill in our easy trades quote calculator.